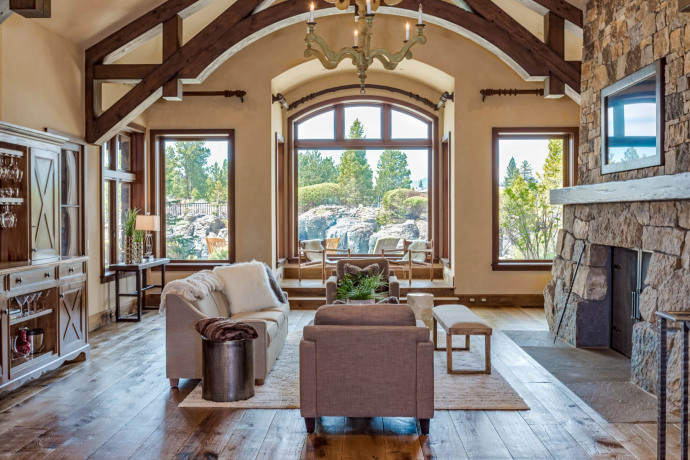 I recently had the pleasure of visiting Bend, where I enjoyed the region’s stellar winter recreational opportunities and connected with agents at Cascade Sotheby’s International Realty. During my trip, broker Betsey Little introduced me to an amazing 10-acre estate that is owned by former NFL Quarterback & #1 draft pick Drew Bledsoe of Washington State University. The Janet Jarvis designed Northwest Lodge style estate is situated within a gated community and its perfectly balanced atop the 10-acre property with views of the Cascade Mountain range, grasslands and Ponderosa Pines, sage, and buck brush. It offers 4 stories of custom interior design with thoughtful appointments and finishes, from the great room’s soaring beams and fireplace, to an Epicurean kitchen and luxurious master bedroom. Those that are accustomed to an active lifestyle will find every amenity to suit their need, with an indoor half-court basketball court, pool, two hot tubs, a full turf sport court, and putting green. Would you look at that wine cave!! When Bledsoe retired from the NFL in 2007, he opened Doubleback a Bledsoe Family Winery, which uses grapes from the Walla Walla Valley where he was raised. 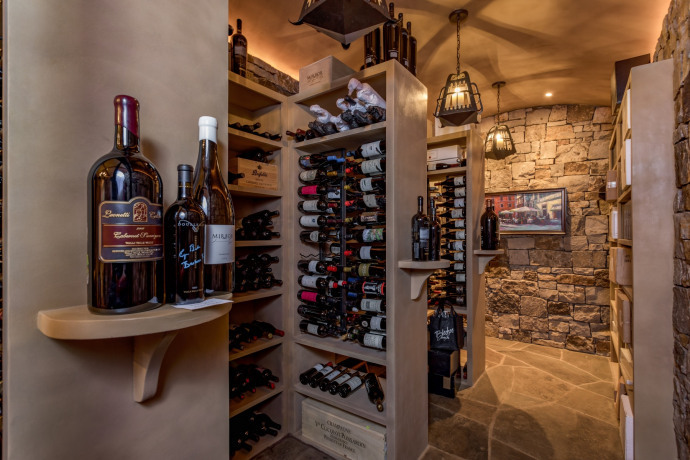 It’s a great place to add to your summer winery tour list and you can definitely feel the family’s passion for entertaining over wine when touring this amazing estate only minutes to downtown Bend.